Includes 1 Triple seater Sofa, 2 Single seater Sofa and a Table (glass not included). 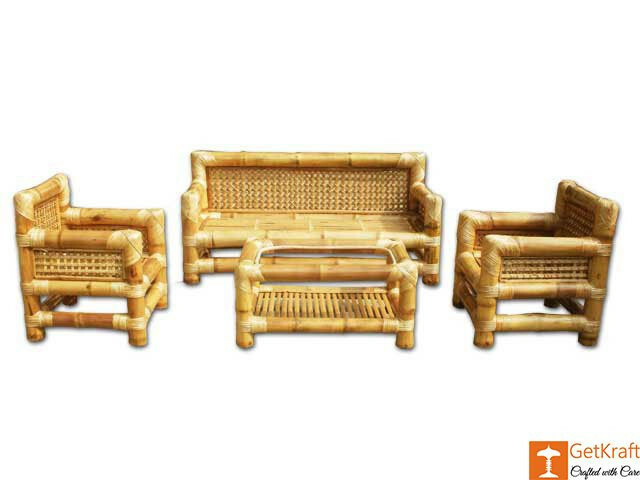 Add style to your living room with this designer Sofa Set made from Bamboo. This product has been neatly handcrafted using combination of contemporary & traditional methods. 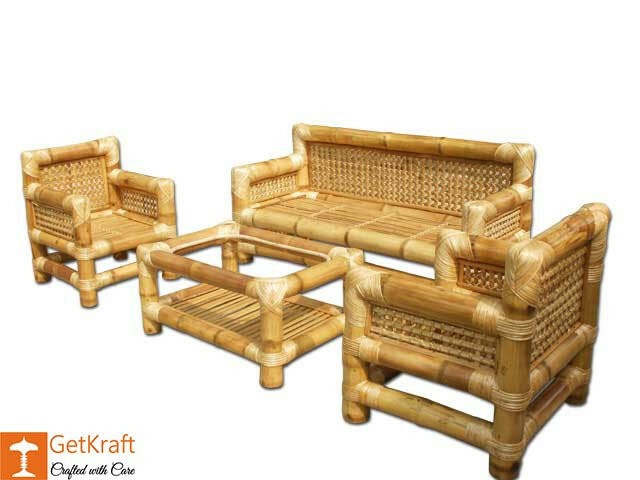 These handcrafted Sofa sets constructed from various diameter bamboo are sturdy and durable. The bamboo used in our products undergo a rigorous treatment and curing process. All furnitures are treated for termite infestation and finished with a spray of UV resistant polyurethane for longer life and greater protecton. We guarantee if handled in accordance with our recommendations, it is durable and lasts a very long time. The furniture has very low maintenance. Just dust off or clean with a moist cloth, and later with a dry cloth. We promise to deliver quality products at reasonable prices. The products are perfectly crafted out of the finest of materials to ensure long term use.